Your stomach is like your body's fuel tank. When you wake up in the morning that tummy of yours is on 'E' and you've got to fill 'er up! 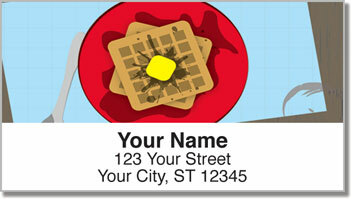 Perhaps you prefer a hot breakfast like crispy waffles with maple syrup and melted butter. Or maybe you like a quick bowl of cereal and milk before you head out the door. Either way, you know that skipping the most important meal of the day would be a huge mistake! 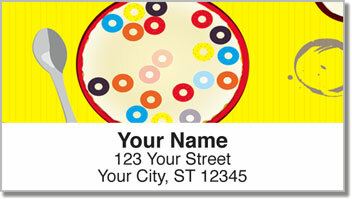 Breakfast Food Address Labels from CheckAdvantage are a colorful, fun-filled way to mark your mail! Plus, you'll be pleasantly surprised to discover how much time you save when you no longer have to fill out envelopes by hand! 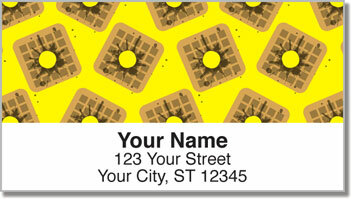 Get your very own Breakfast Food Address Labels now! 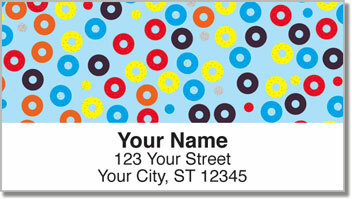 Add matching personal checks to complete your order!